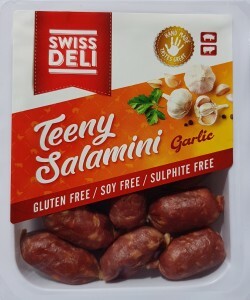 Swiss Deli Salamini Garlic are bite size salami snacks. 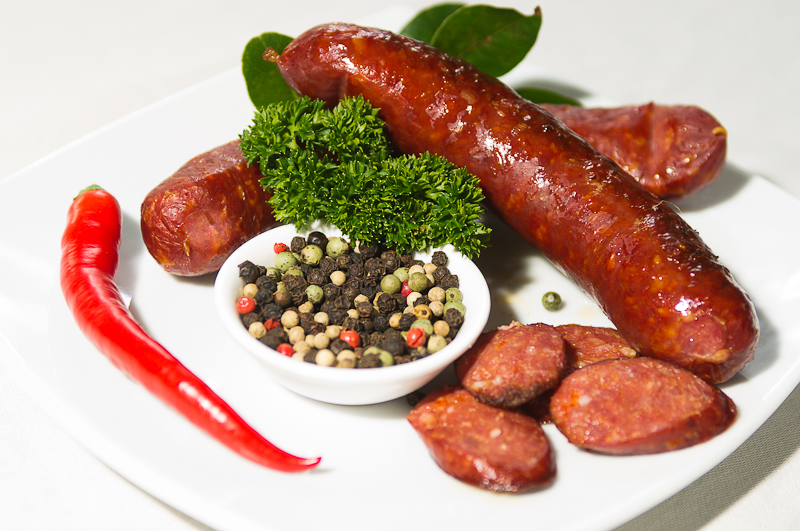 These small meaty sausages are bursting with flavour. These are an ideal treat when you are on the go or as part of a lunch box. 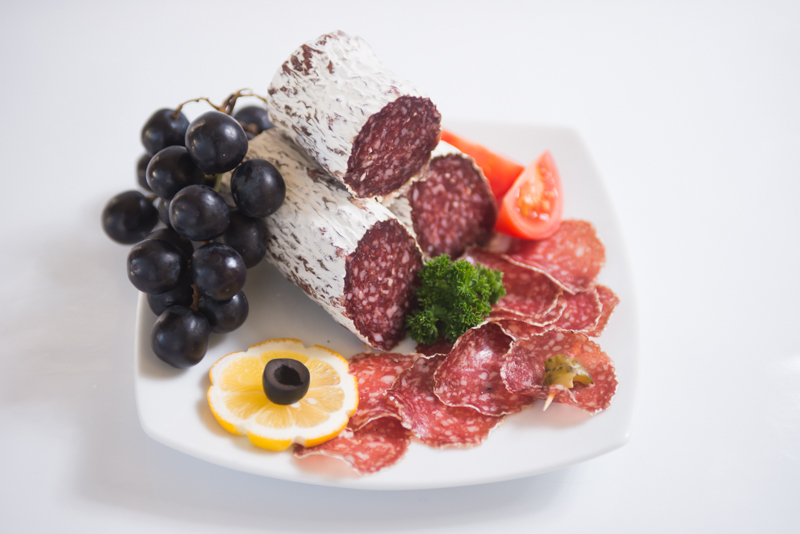 Swiss Deli products do not use any fillers and are free from artificial colouring and genetically modified ingredients. 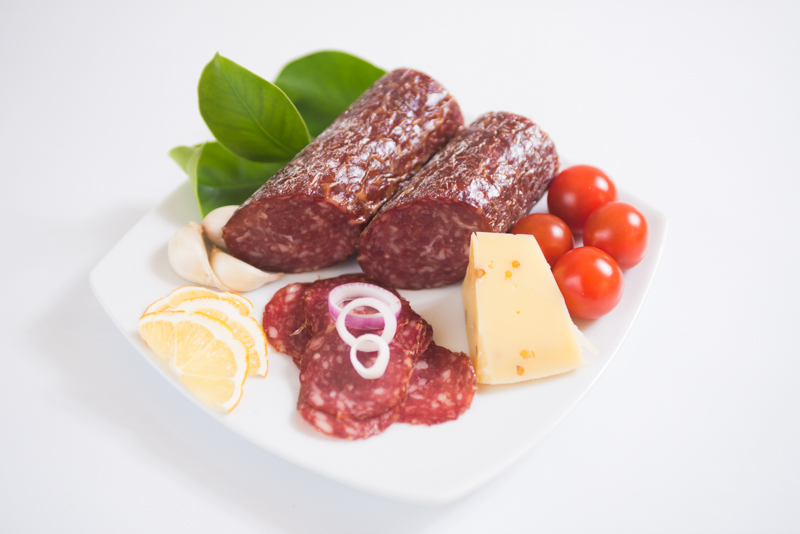 Swiss Deli Salamini snacks are already cooked and can be enjoyed cold straight from the pack. Once opened, consume within 3 days. 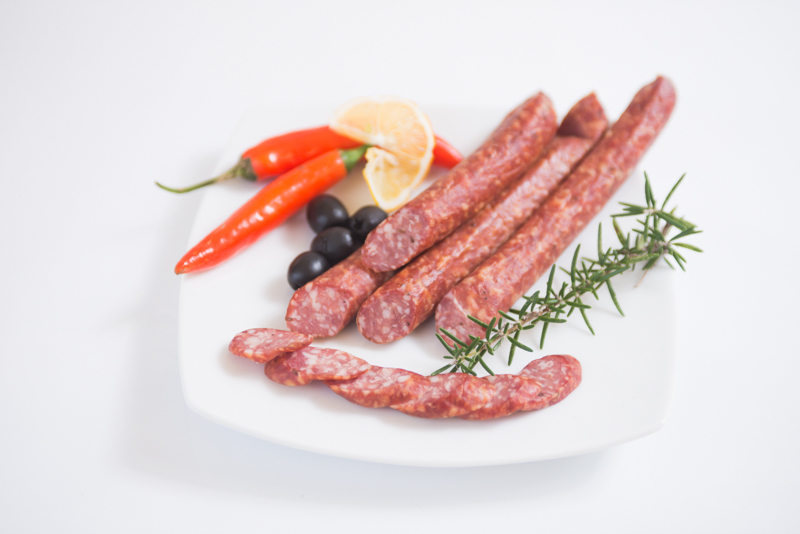 For tips on how to cook with Swiss Deli Continental Sausages and Salami see our Recipes section. 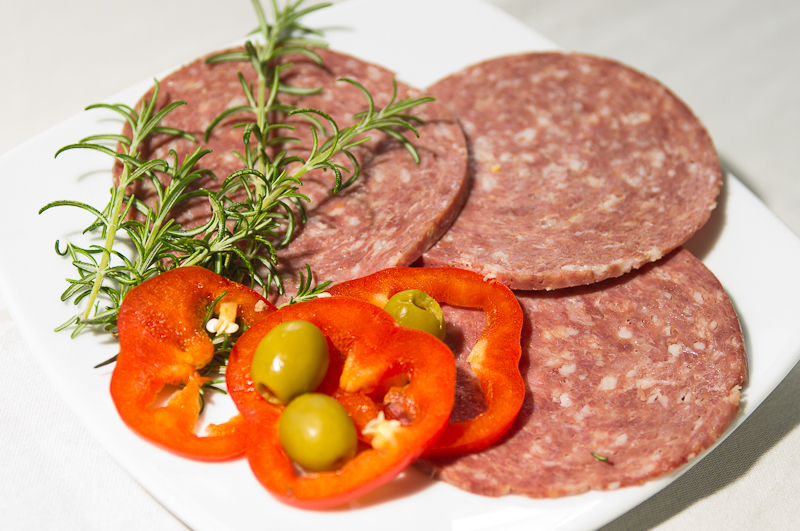 BEEF (64%), PORK (32%), SALT, SPICES, ACIDITY REGULATOR (575), SUCROSE, DEXTROSE, MINERAL SALT (450, 451), PRESERVATIVE (250), PROTEIN CASING.